Speedmonkey: Will Tommi Mäkinen compete in Rally Finland? Will Tommi Mäkinen compete in Rally Finland? This image just appeared on Tommi Mäkinen event's Facebook page. The statement is pretty obvious. 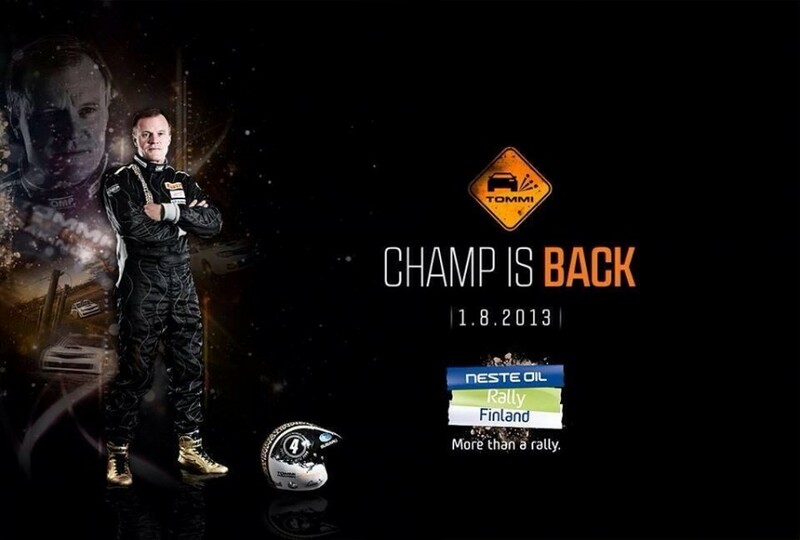 Tommi Mäkinen is back and he'll be driving in Rally Finland, which runs from 31 July to 3 August. Really? It doesn't explicitly state that but what else can be inferred from the "The Champ is back."? Just found out WRC legend Tommi Makkinen is returning to the WRC in Finland. Can't wait to see what he can do. Don't forget that Red Bull are the new WRC promoters. Could they be behind this move in order to generate a load of publicity following the Webber to Porsche deal? No doubt all will be revealed soon. For those of you too young to remember quite what Tommi Mäkinen achieved take a look at his Wikipedia entry. His reputation in WRC is legend. Four world championships in a row saw to that.